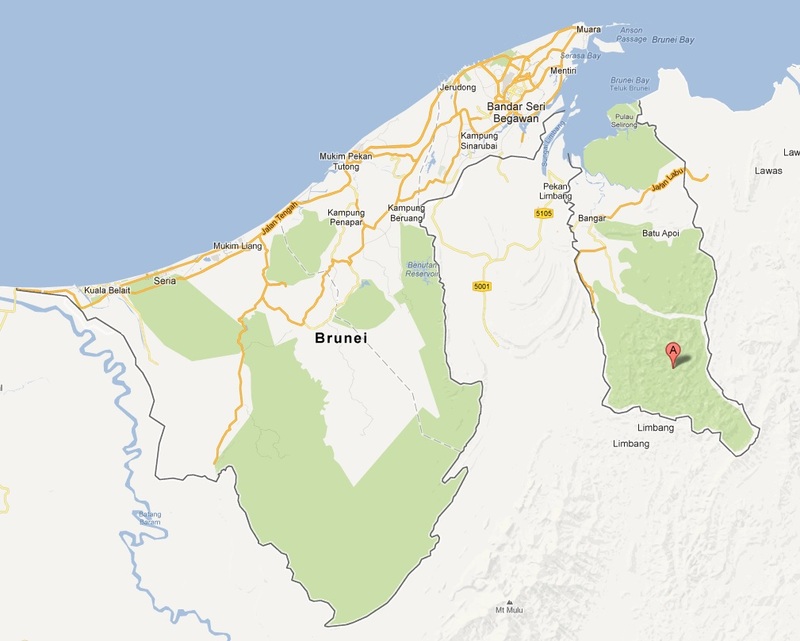 Brunei is a semi tropical country with coastal plains rising to a series of mountains. 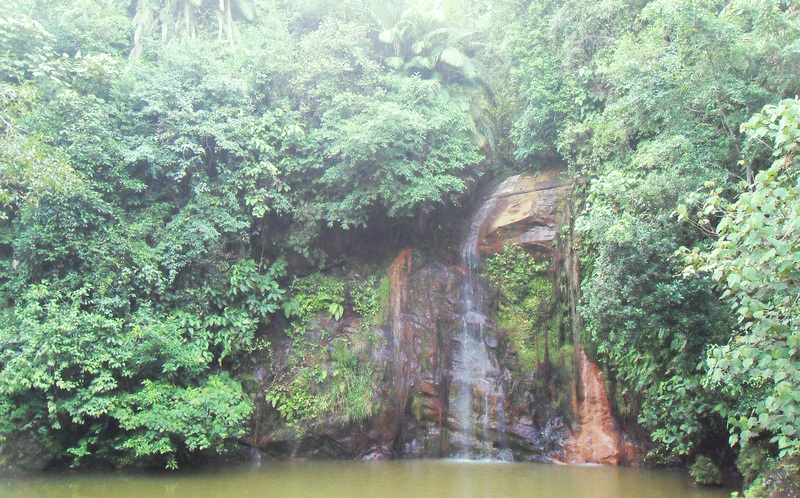 Much of it is covered by jungle and seeing them here through trails is an experience not to be missed. Borneo is known to house an immense amount of biodiversity and with a guide or a watchful eye, you might just be able to spot some of the elusive native wildlife! If you are staying in BSB, there are many parks you can hike through that cater to varying fitness levels. 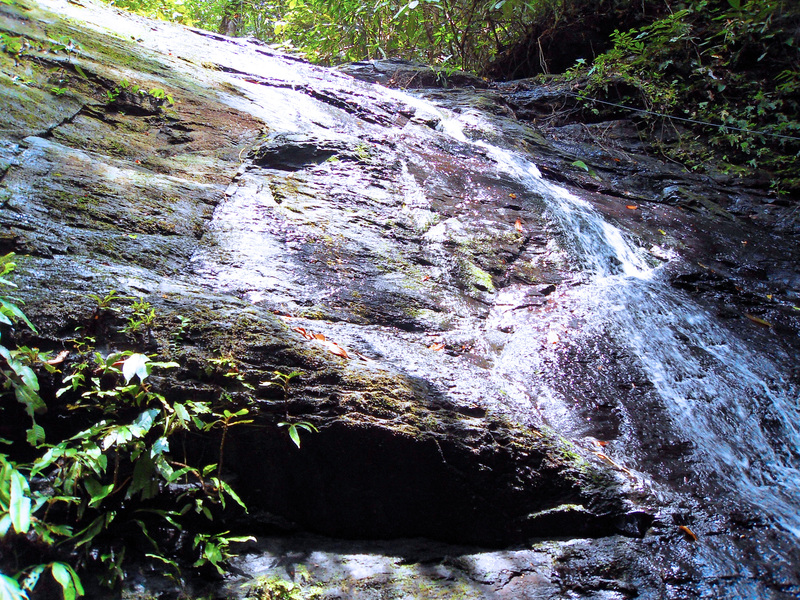 Tasek Lama offered leisurely strolls on their walkway through rock faces, jungle flora and a waterfall. There are more challenging trails you can try here but make sure you bring lots of water. Trails are well marked but its very difficult to judge how long a given distance will take because of the elevation is hard to factor in. Parts of it can be very steep but you definitely get a good workout here! 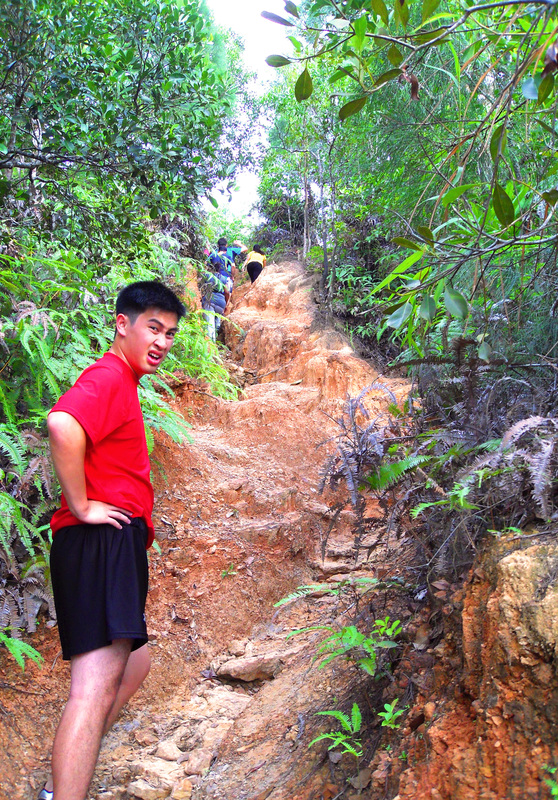 Throughout the hikes, I was amazed by the raw, untamed jungle. It was so dense at some points sunlight couldn’t penetrate the canopy. The top of this mountain is covered with a clayish white and orange rock and offers views of the forest undisturbed by anything man made. Uncle took me, Paul and Fiona here for an afternoon stroll. We finished the leisurely side of it in a matter of minutes and it really is quite pleasing to the senses. Looking for a challenge though, Paul and I ventured into the mountain trails for some hiking and trail running. The initial ascent is pretty brutal since its very steep (think Grouse Grind) but there are well maintained steps for the most part. Once you get three quarters of the way up, things start to flatten out and the trains are runnable if you’re into that. The humidity was weighing heavy on us so working up a sweat and increasing our pace kinda helped to cool us off. 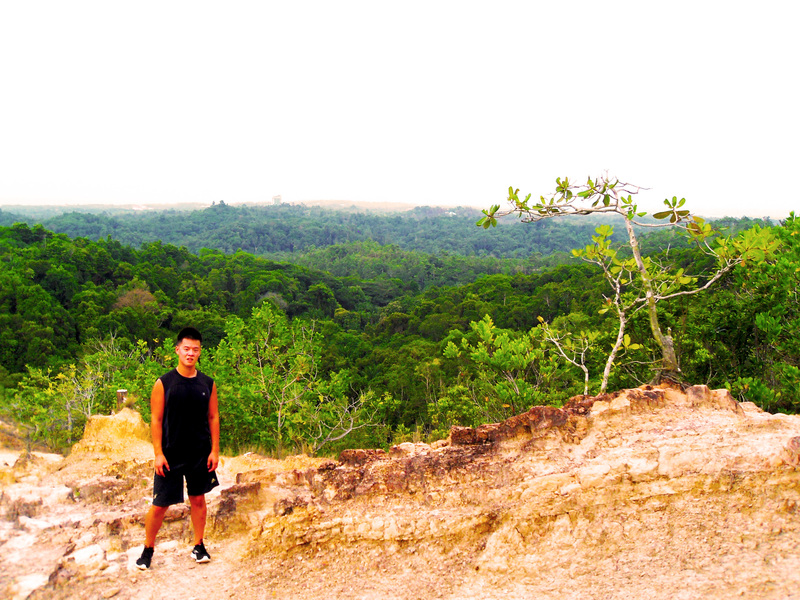 Once at the top, we got panoramic views of the surrounding jungles. There were areas that were developed too but I was really amazed that such large pieces of green space existed within the city. As the suns started going down, we tried a few different routes to get back down but by then we were very tired and getting thirsty. Some of the loops were not marked as clearly so we got a bit lost. At the point it was really starting to get dark and we weren’t sure if we would make it back down before sundown. The trees blocked what little light remained and at times the trail looked as if it went on and on. Eventually we did manage to find a familiar trail and made it out to the parking lot just as the street lights were coming on. Whew! Ulu Temburong is marked by A on the mapp. The 2 chunks of Brunei. As I mentioned in my previous Brunei post, the country is split into 2 pieces by the Malaysian province of Sarawak. 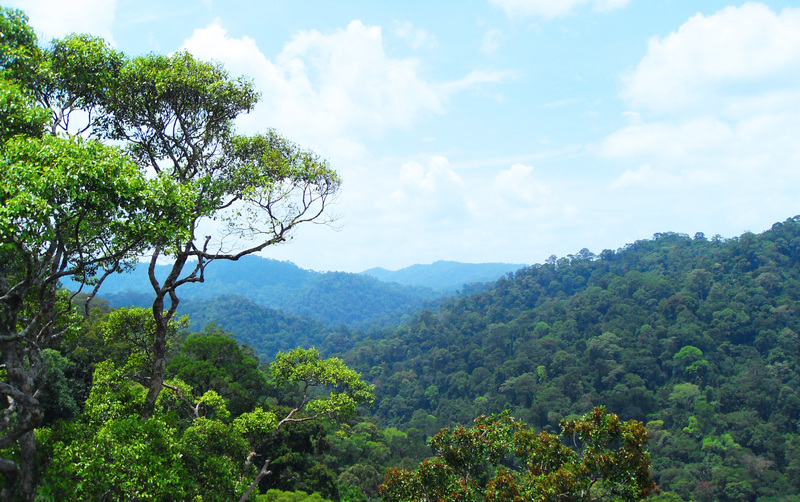 The outlying chunk is Temburong and I got a chance to check out their famed Ulu Temburong National Park. From the main harbour in BSB, we zipped by the water village for a 40 minute ride down the river to catch our minivan to the park complex. The complex itself is a basic wooden structure nestled around a bend in the river and faces a waterfall opposite. From here we get into small motorized long boats and make our way down the river. We are surrounded on either side by dense jungle and at this point I know that we are in the thick of it! The little waterfall outside the park office. The water here is shallow enough for wading. Swimming in moving water is very different from a pool! The water levels are very low while we go so at one point we get stuck completely. Everyone gets out while the driver tries to call for a support team (of 1) to help wedge the boat out. We eventually dock on a pebbly shore and start the climb up the mountain. 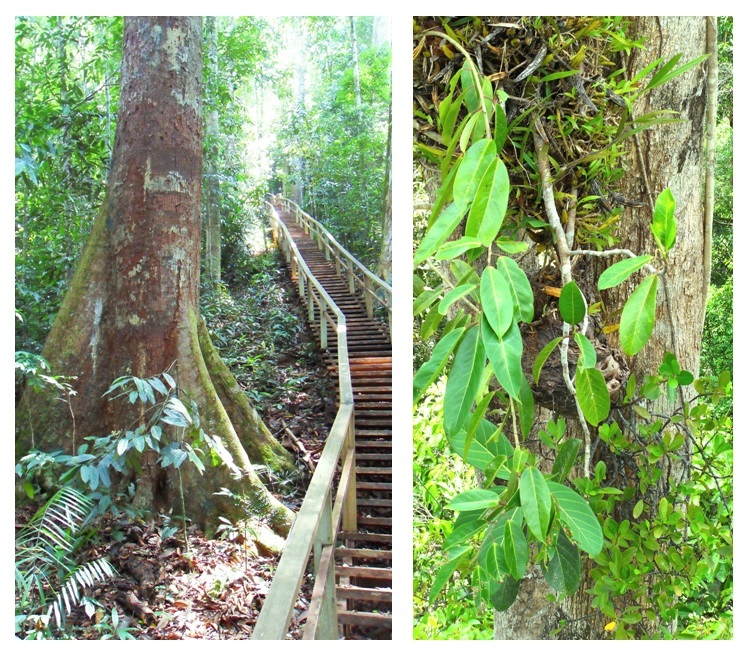 The steps here are very well maintained and the guide is super informative about all the different plants and bugs we see. No large animals this time unfortunately. The main attraction in the park is their canopy walk. This series of scaffolding supported by the surrounding trees rises 50 meters above ground and, like Tasek Lama, offers spectacular panoramic views – except there isn’t a man made building in sight. 360 degrees of nothing but tropical jungle. They are divided into a number of towers, with bridges connecting each tower. Only 2 people are allowed to go on each tower at any given time. 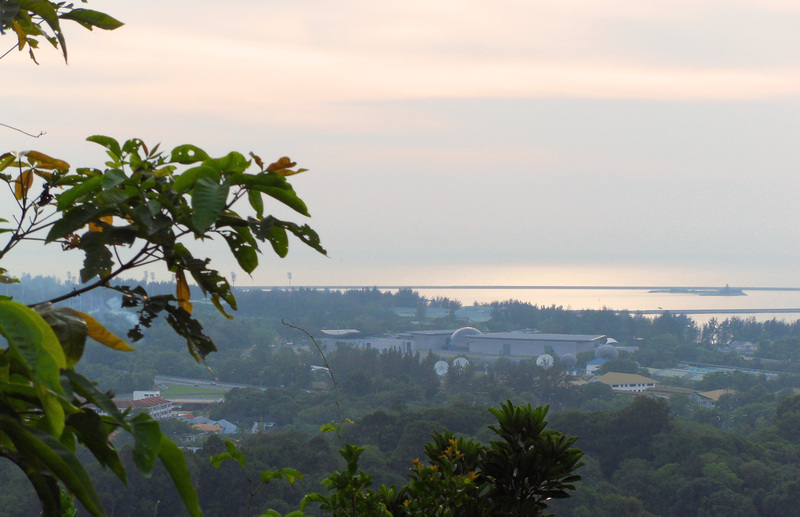 The top really does offer unobstructed views of the natural beauty of Brunei. Any if you look closely to the east, you can see Mount Kinabalu in the distance all the way in Sabah! View from the top of the canopy walk! Our last little stop before heading back was a little creek that fed the main river we were riding on. We followed the creek to a pool where there were tons of little fish. 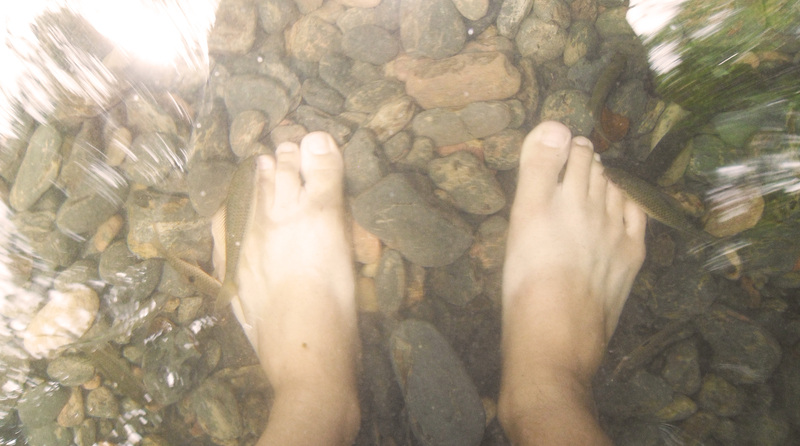 When we stepped into the pool, the fish started nibbling our feet! These were those cleaner fish you found in asian spas that ate the dead skin off your feet. Pretty cool and no fancy spa needed! “Feeding” the fish haha. I managed to get an awesome flip flop tan! I’ve never been much of a hiker. Quite honestly here in Vancouver I only did the Grind a few times purely to prove that I could do it (and I CAN! In good time too!). 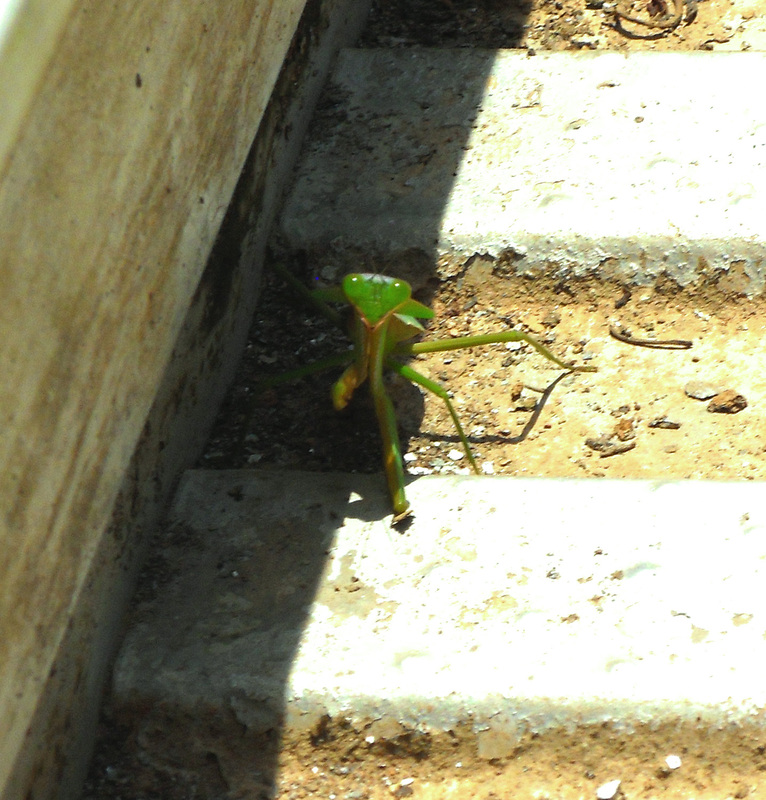 However I think that SE Asia’s native plant life was so different that I couldn’t help but be amazed by everything I saw. The tour cost $90BND for everything including transportation, lunch and a guide. 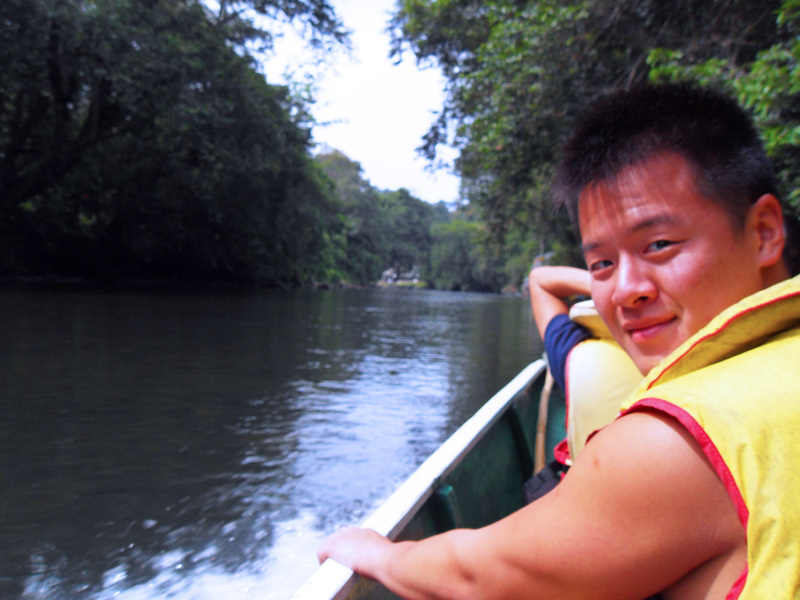 Its a great way to see the jungle and unwind at the end of it all with a river swim (slow current don’t worry).